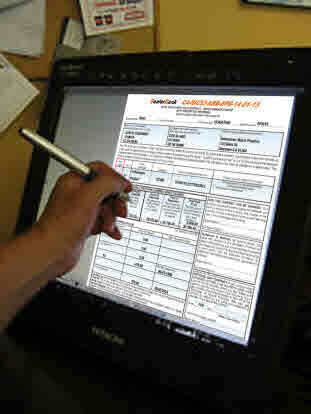 You can preview all forms on the screen, or a networked tablet pc, android or ipad and have your clients sign them there, no need to feed long contracts into an old printer, the pre-signed forms can be printed later, e-mailed or saved to a usb flashdrive, if a lender or government agency insists on "real ink" those forms can be printed unsigned and the client can sign them with a pen. 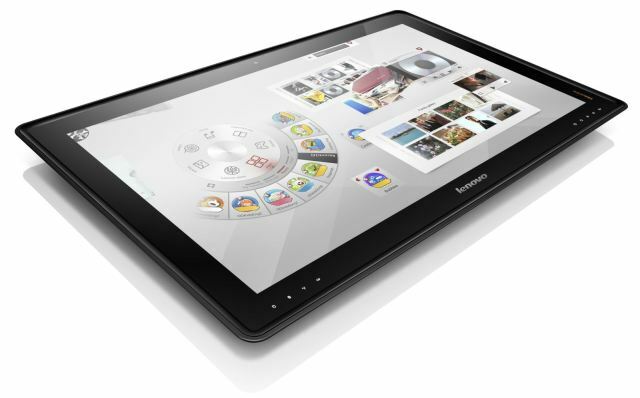 With the new Pen, touch enabled pc's you can integrate it as part of your desk laying flat on the surface. 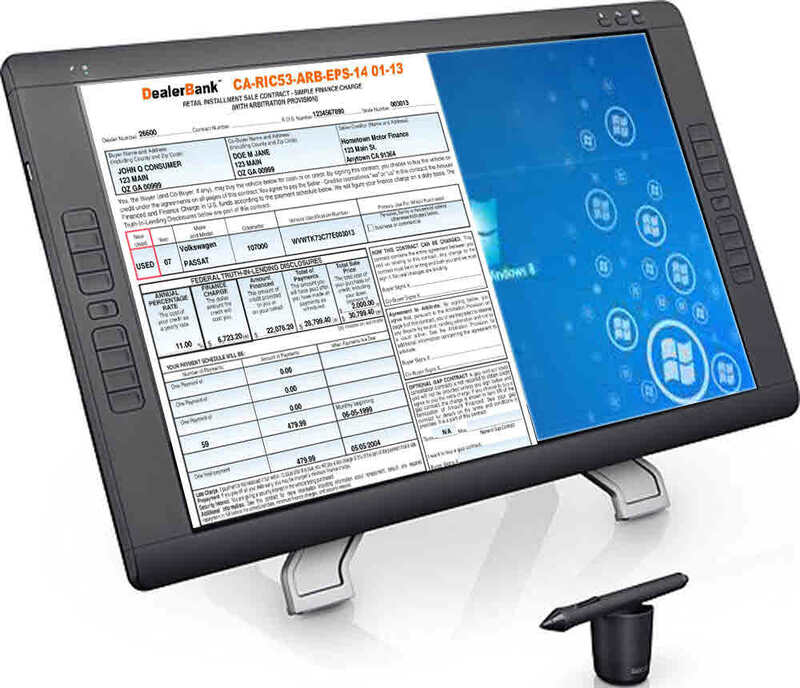 You can run Lease & Loan Master on the Monitors laid flat or simply use them as the destination of your forms that are ready for signature. 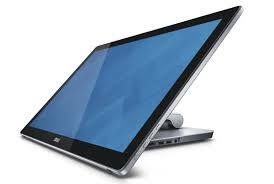 This Monitor can be angled for comfort, tilted and swiveled around as your client reads and signs all documents. 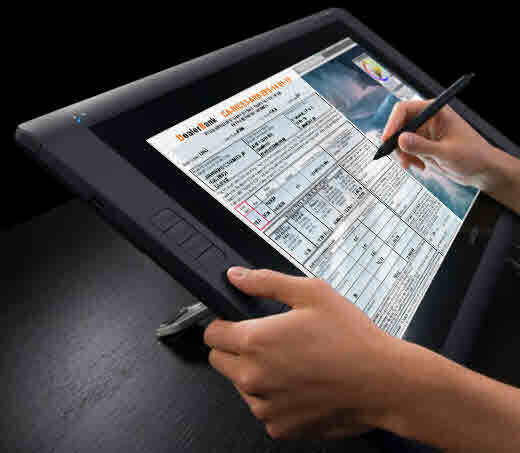 The Samsung Galaxy Note is also capable of being the signature pad. 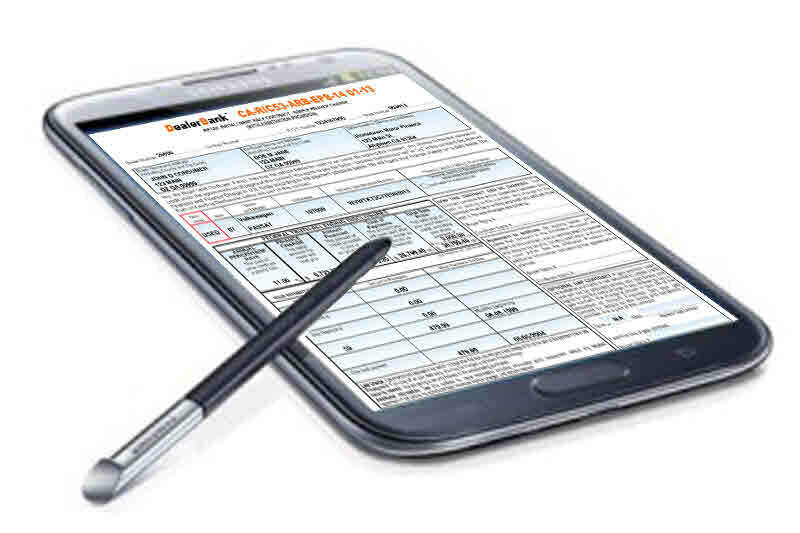 The program will create the signature ready pdf files and transfer them directly to the Android device, where your client can read and sign. You can "pen enable" your current PC Monito for under $200.00, with a clip on device that reads the position on the screen. 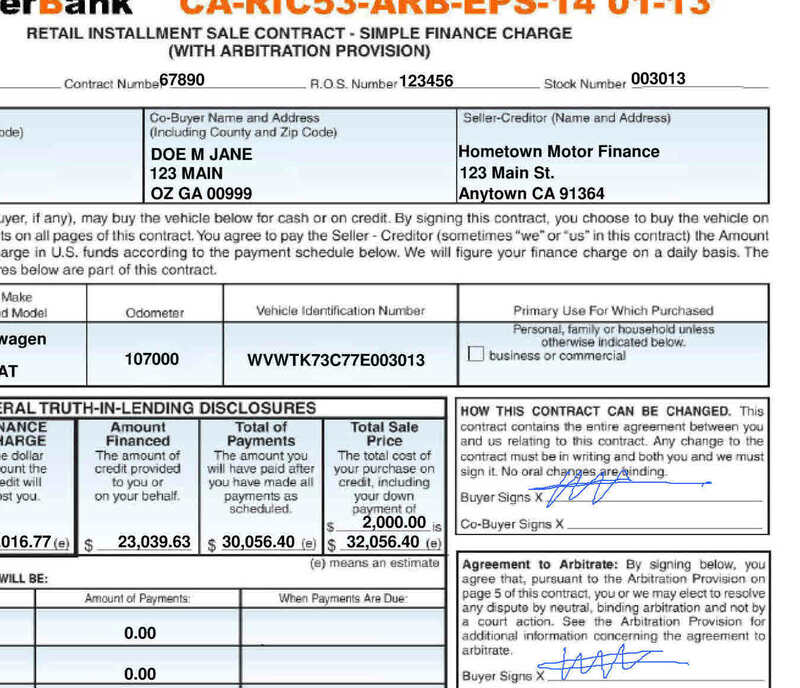 Some Lenders prefer you send them the pdf version by email, others require you use Standard Forms (paper or electronic) which may require a per funded form fee of about $1.00 to the Copyright Owner. Lease & Loan Master will provide both the perfect alignment for your paper forms or the electronic version, So you can continue doing business with all your lenders, and can conver from paper to electronic on request. What about My own forms? 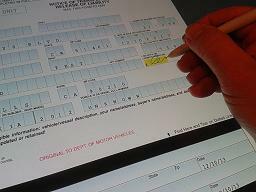 We can convert the forms you own Copyright, to the electronic version for you including your logo and details. What about Numbered State Forms? They will continue to be printed on paper. 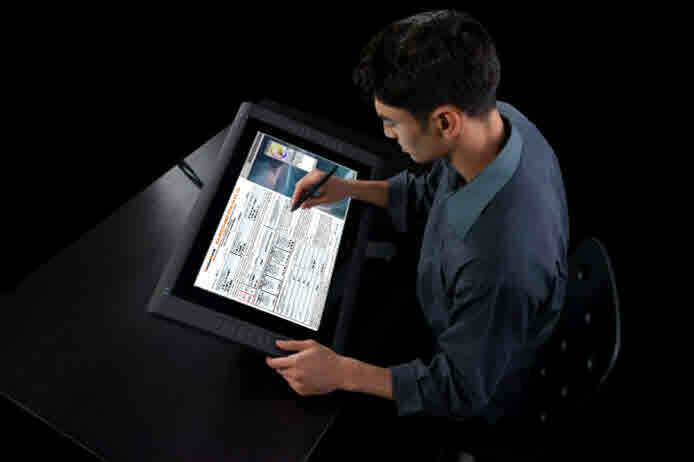 With Lease & Loan Master each form has a setting to remember your choice of Pdf, Laser, or the brand of Impact printer you want to use with it so there is no time wasted selecting which to use. © Copyright 2007 leasemaster.com. All rights reserved.